Join me for a summer filled with real science your kids will never forget! It’s jam-packed with loads of totally fun activities that are also educational. Your kids will be having a great time, while at the same time keeping their science learning going even during the summer. 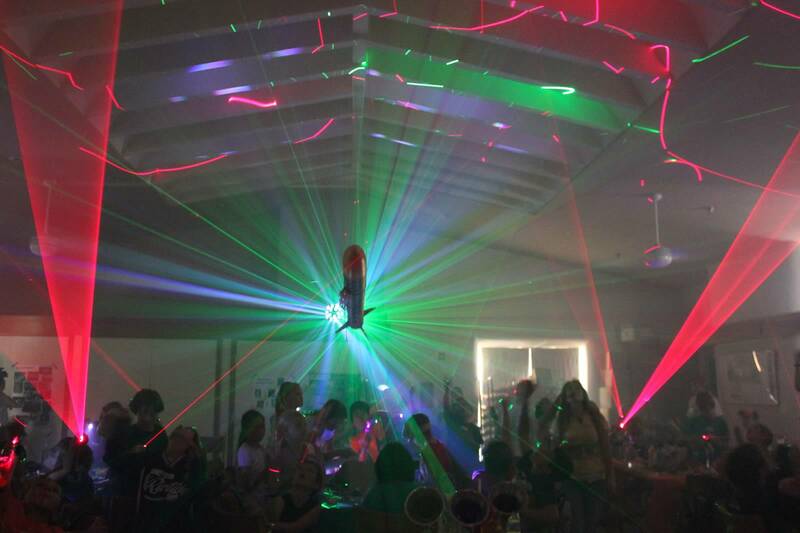 This is NOT your average science camp! Kids really do keep everything they build and invent during our workshop. 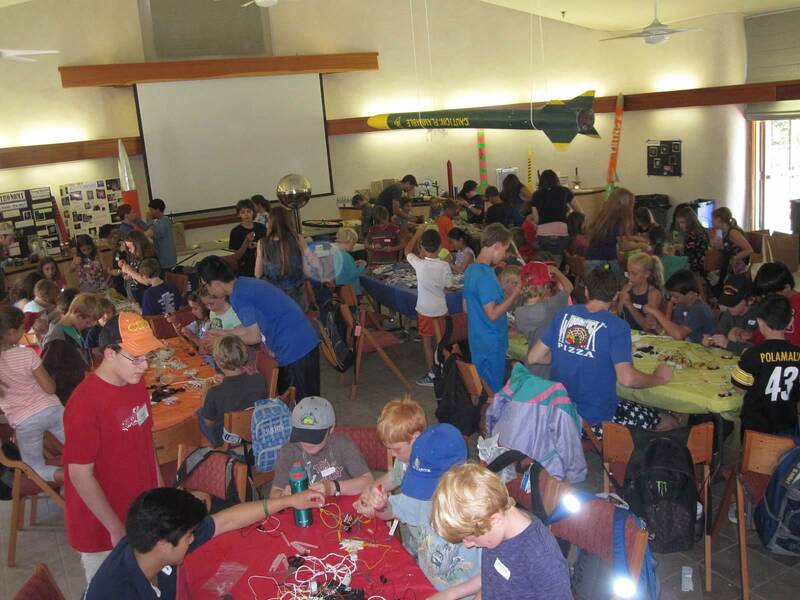 Science Camp is taught by real scientists and engineers, and is specifically for kids ages 7-12 years. Ready to register? The best part is that you get vacation in one of the most spectacular and most relaxing places on Earth. Trying to figure out what to do this summer that’s going to be fun for the whole family? Also wanting to keep the learning going year-round? This may be just what you are looking for. Click here to learn more about vacationing in San Luis Obispo. This Supercharged Science Camp is taught by a real mechanical engineer, airplane pilot, astronomer, university engineering instructor, and rocket scientist. Come join us for a summer that is totally jam-packed with learning and fun! Our science workshops and camps are NOT just for homeschoolers – they are for everyone interested in doing real hands-on science! We’ll cover air pressure, the four aerodynamic forces, Bernoulli’s principles, and flight dynamics concepts by constructing stunt planes, hang gliders, bat kites, rotor kites, and more. We’ll also construct pneumatic rockets and chemical pop rockets, playing with the nitrogen atom itself and uncover the physics of flight using Bernoulli’s Principles for wing design! We’ll cover electricity, conductivity, static charges, magnetism, and Maxwell’s Electromagnetism Principles by wiring up circuits, motors, lights, switches, constructing homemade burglar alarms such as trip wires, stomp sensors, tilt sensors, magnetic reed switches, and the electric eye and building a DC electric motor using a galvanometer and magnets. We’ll cover Newton’s Physical Laws of Motion, light waves, sonic vibrations, resonance, acceleration, g-force, and more! 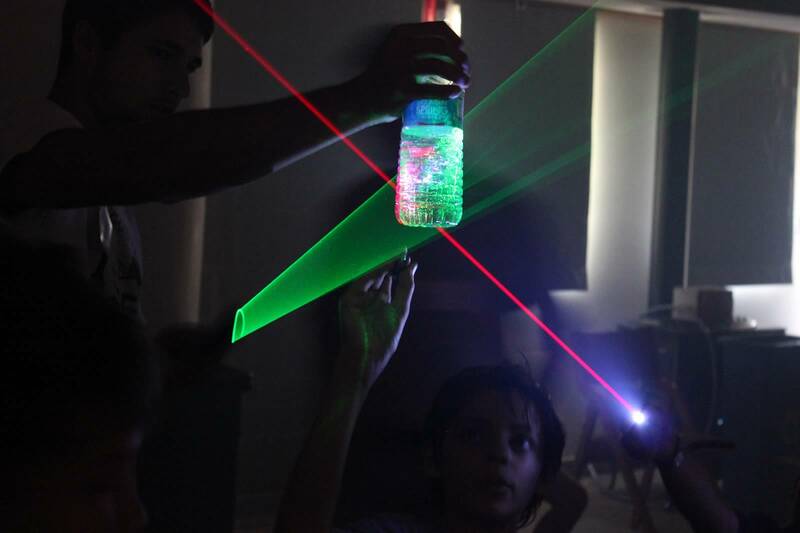 Discover how to spin laser beams, build laser light shows, split light waves into rainbow shadows, construct catapults, and finish the day with zooming around your own roller coaster track you get to take home! We’ll cover chemical kinetics, phase shifts, the five states of matter, atoms, molecules, elements, and more as we cross-link polymers, create substances that crawl upstairs, experiment with phase shifts, shake up solutions that change into a rainbow of colors, turn your dad’s coffee back into clear water, grow colorful crystals, stew up a chemical matrix of heat and ice reactions, discover how to make hot icicles and supercooled liquids, and more! Take an intergalactic tour of the universe without leaving your seat! Discover massive black holes, spinning neutron stars, quasars, blazars, magnetars, supernovae, and more as you learn why the sun regularly burps and spits fireballs into space and view solar flares, learn how stars form, why they explode, and just how far away our nearest neighbor is in our galaxy. We’ll cover how to build a frame (chassis), add motors, sensors, wired remote controls, troubleshooting, and how to ask questions to find your own answers…just like a real scientist! 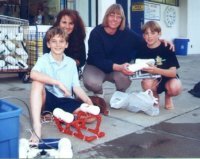 You will construct a mechanized animal robot, build a waterbot, jigglebot, and race car, learn to wire up motor circuits and remote controls, and build several zooming, hopping, swimming, wheeling, dancing robots that you invent yourself! We spend all day in our robot lab building anything you can think up! BONUS! Saturday Marine Biology Underwater Robot Parent-Kid Workshop Explore ocean volcanoes, deep sea creatures and underwater robots with this special parent-kid workshop in marine science. Total Value: Over $350 of free bonuses if you’re one of the FIRST 5 to sign up for Supercharged Science Camp! Ready to register? Doing science is learning about the real world around us. 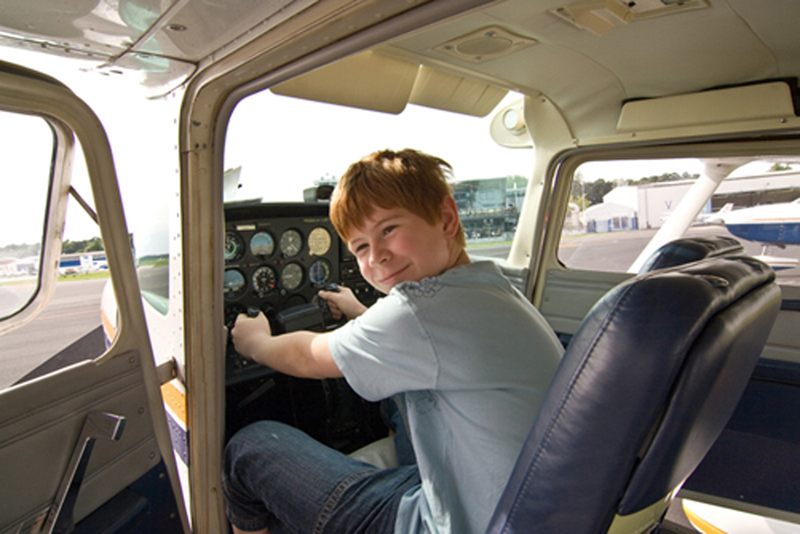 One lucky camper will get their very first flight lesson in a real airplane… no kidding! ~Jan Soto, San Luis Obispo. 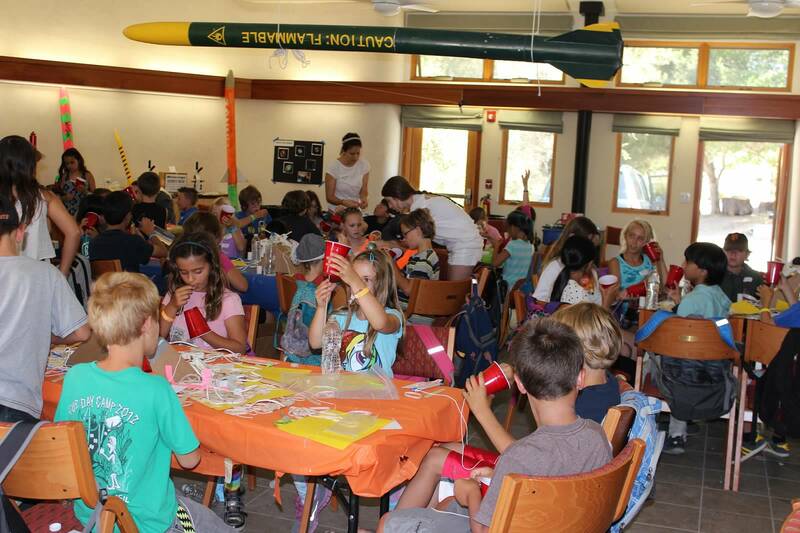 What ages is Supercharged Science Camp for? While I personally teach the camp myself, your kids will also be well supported by my team of assistant teachers through every step of every activity. My staff includes science teachers, university engineering students and other science professionals. That’s less than $18 per hour of camp! Your kids will have the chance to work personally with me, ask me all their questions and get to experience all my latest material before anyone else does! What will this Science Camp do for my kids? 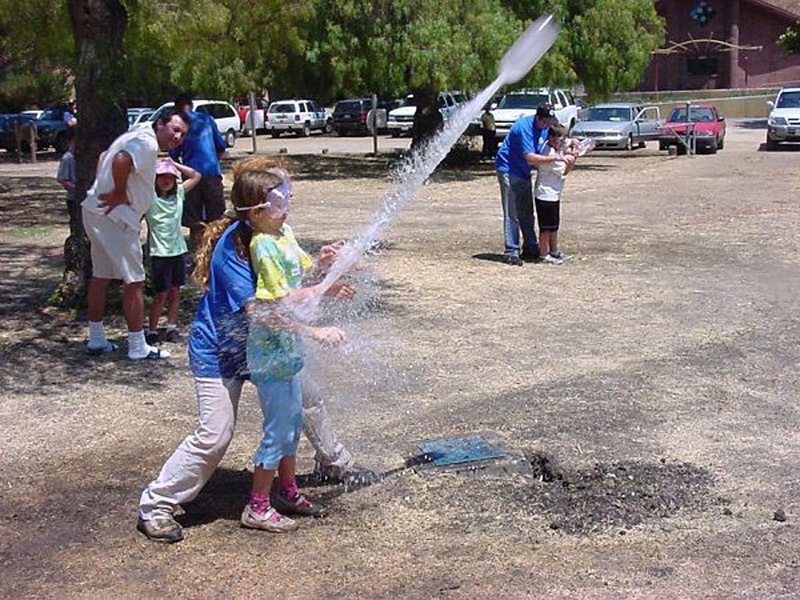 Provide a totally fun day of science education for your kids. To them it feels like just plain summer fun. But as a parent, you know they’re learning as much science as they would in three months of science classes. The great part is, it doesn’t seem like school at all to them! 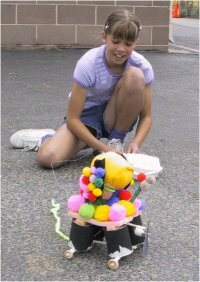 Allow your kids to participate in a self-guided format that totally encourages imagination and creativity.Your kids will be interacting with college engineering students and science teachers in an easy-going learning environment. They can do the whole day on their own without your help, even if you don’t know a thing about science yourself, or haven’t had the time to do science with them before. No previous experience required. 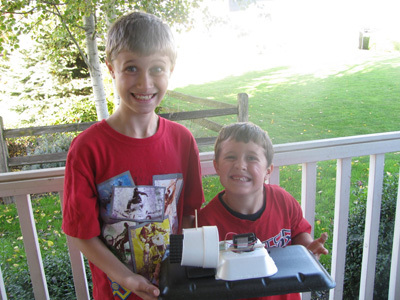 Give your kids an incredibly fun AND educational science workshop experience. Kids who joined us for a totally fun experience reported back that they had such an amazing time they’ll never forget. Parents were impressed by how much kids learned, and how it really helped them to be ready for school in September. The goal is to bring out this kind of fascination and excitement for fun and learning in your kids. I’m grateful for the chance given to play with and teach your children. We look forward to sharing an amazing year with you and them. How much will my kids learn during Science Camp? Most parents are surprised by how much learning their child picks up at camp, and have been astonished when their child teaches it back to them! I’ve had kids that choose to attend our camp every year and they still learn new things each time because science is like that – it’s not a laundry list to get done, but an experience of adventure, curiosity, and asking questions. Enough parents have begged me to “sneak a peek behind the curtain” and check out the content I teach from. I hesitate to show this to you, because I don’t want this list to scare you! It’s based on the basic scientific principles that kids need to know before they hit college, and yes, I present it in a way that 7 year olds can make sense of while still challenging the 12 year olds in my audience. That’s the magic of Supercharged Science. In fact, you’ll get a taste of this when I invite your entire family to attend my workshop on Astrophysics and Black Holes during your week of camp. Don’t worry if these science ideas are new to your kids – it may have been that no one has ever explained them or shown how important they are. That’s why I cover them at science camp. It’s my job to make sure your kids have got their science topics covered. I focus on long-term understanding, not how quickly kids can memorize these top principles. Does that sound like a lot? You bet. I would never short-change your kids in their education. My camp is not day care with watered-down experiments or cartoon-like toys and movies. Kids build real rockets, robots, laser light shows and more… and most kids never know that they are learning the academic stuff listed above (which is why I hesitated to even show it to you!) And there’s no writing or math skills involved. That’s the magic of how I teach science. Ready to register? 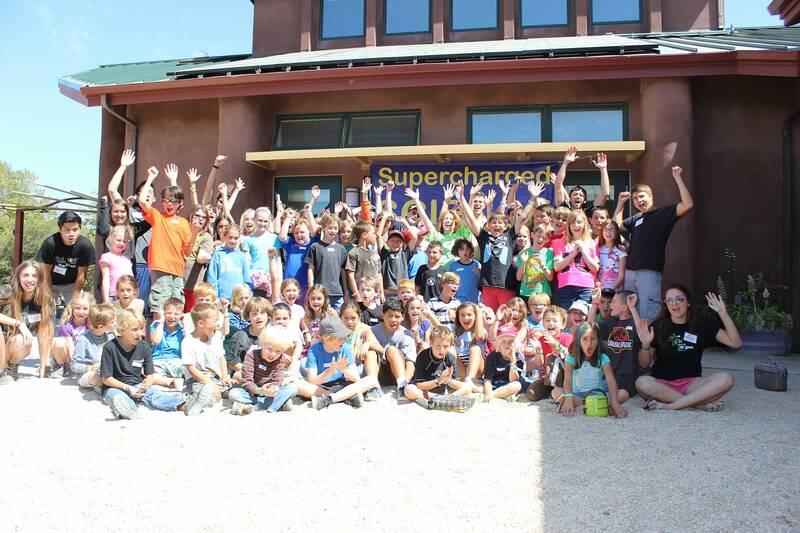 Supercharged Science camp covers not only super-fun hands-on science activities but also solid academic content. All the academic principles are followed up by lots of activities and experiments so kids can really their heads around these ideas so that when they’ve finished, they can pretty much explain the universe around them, including why airplanes fly, how electricity works, and why magnets stick to the fridge. 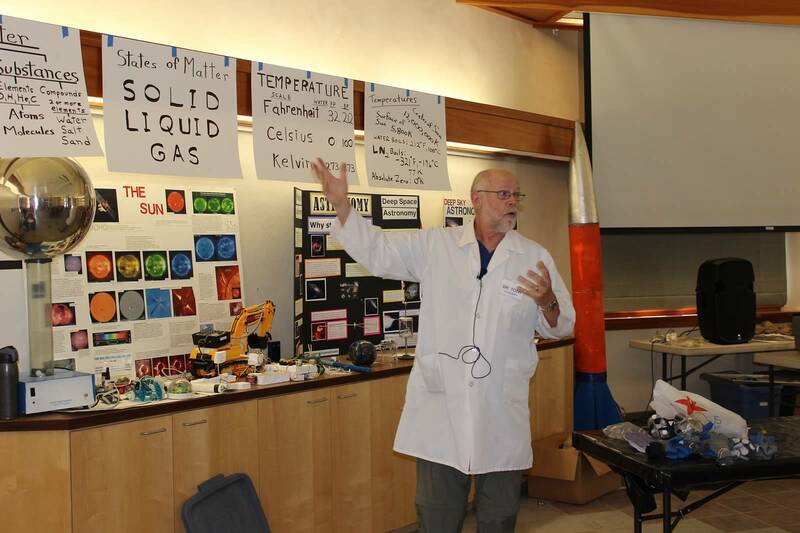 This Science Camp is for kids who love learning science… no previous experience required. Honestly, families attend my camp from all over the world. You’ll get to meet many international students as you enjoy a week full of hands-on science fun together! There’s limited space in Summer Science Camp (because I give individual support to kids and don’t want to be overwhelmed). 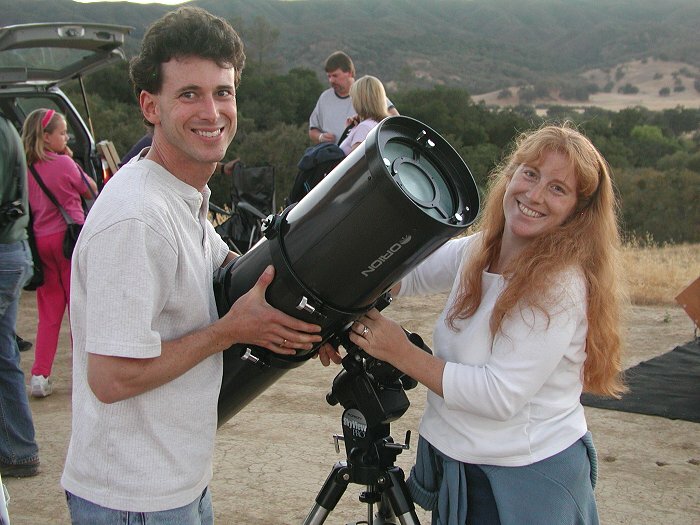 Supercharged Science Summer Camp is Monday through Friday, from 9am – 2pm with a bonus Astronomy Night on Wednesday evening which is included in your registration. New for this year is also the opportunity to sign up for an additional sixth day of camp (Marine Biology and Underwater Robotics) which is available for an additional cost, and limited to kids ages 10 and up. 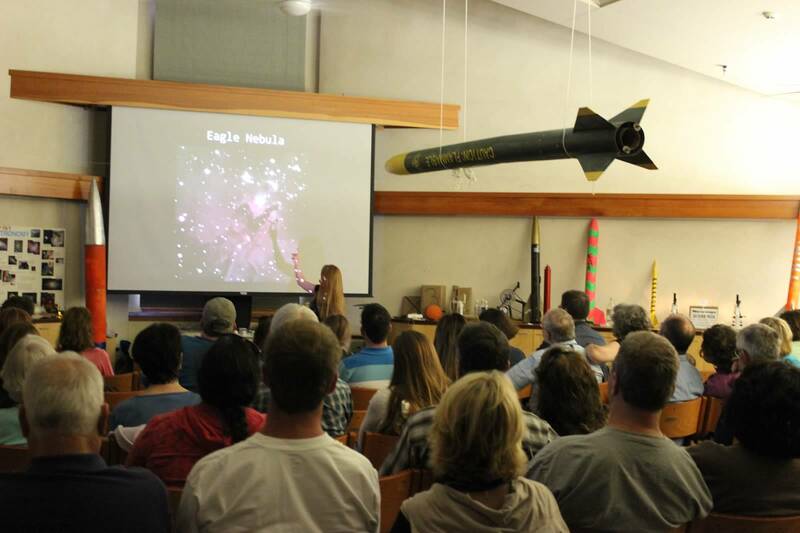 You can sign up for this additional Saturday workshop after you’ve enrolled in Science Camp.